Simply said, our planned backpacking trip is over and I want to share our experience. Actually we didn´t plan much. We decided that we are already too grown up for doing couchsurfing and hitchhiking only. 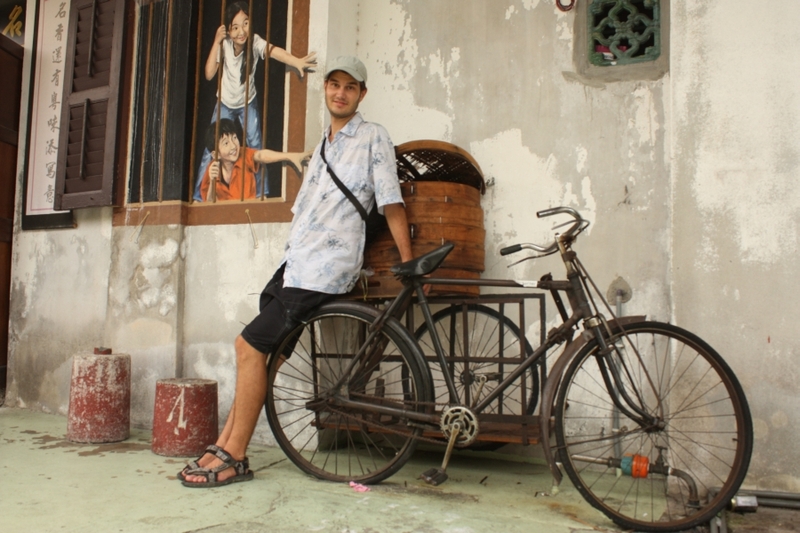 When it would be possible we would use it, and when it wouldn´t be possible we use something else 🙂 Out of 17 days of our trip, we spent 6 nights by couchsurfing (Chinese family in Kuantan, American english teachers in Kuantan and Iraqi university teacher in Kuala Terengganu). We hitchhiked for three full days and it was in fact more than adequate which must mean only two things: I am becoming old and don´t insist anymore on backpacking unconventionally or Peter has completely changed me into his more comfortable and less hassle way of traveling. If you know other reason, please do let me know! 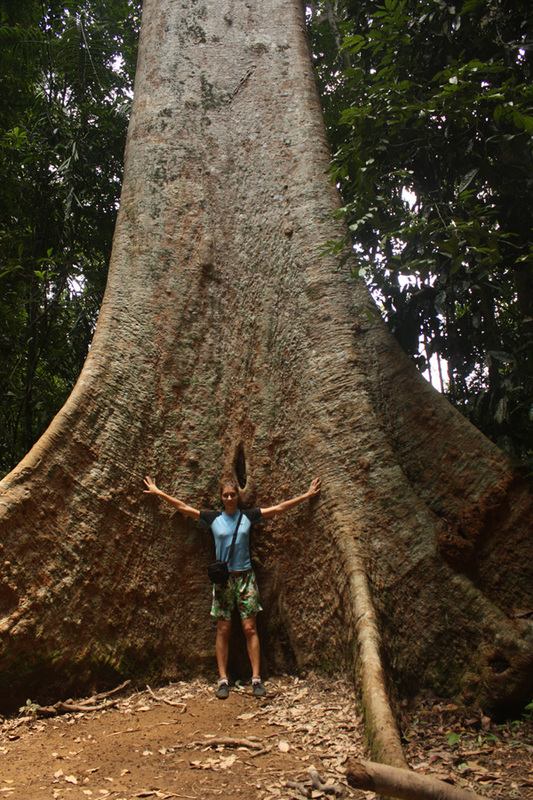 Taman Negara (National Park)– it´s one of the oldest rain forests in the world. Located in three different Malaysian states (Malaysia is a federal monarchy) and we chose the closest entry point from Kuala Lumpur through state Pahang. We stayed three nights in a jungle touristy village Kuala Tahan and shared 4-bed dormitory room with Polish couple in a simple hostel. They were on a 3-weeks backpacking trip around Malaysia as well 🙂 We already experienced Malaysian jungle in a small protected area close to Kuala Lumpur (it was in FRIM-Forest Research Institute of Malaysia) and our Polish friends just discovered it there. We all shared our jungle experience. When trekking in a jungle, you are sweating enormously, you need to drink a lot, you are completely wet all the time and additionally it´s noisy out there which drives me crazy. Sometimes I was really scared because of all those jungle sounds. You cannot see the sky most of the time and actually you are surrounded only by big trees, plants of unusual shape, flowers and plantation layers. 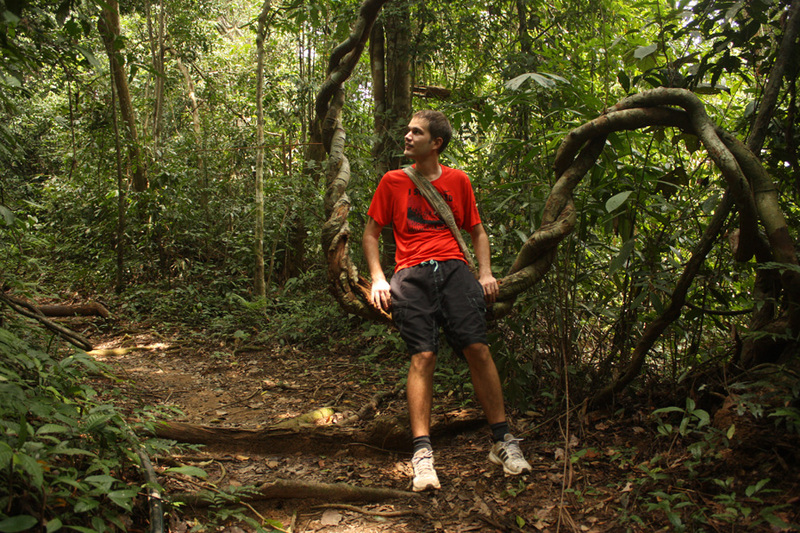 We still don´t know which shoes are really appropriate for jungle trekking. Sneakers are terrible because of constant sweating and sandals are way more airy but completely inappropriate. We both tried both types of shoes but cannot say which one was better or worse. Overall, it was really nice new experience. 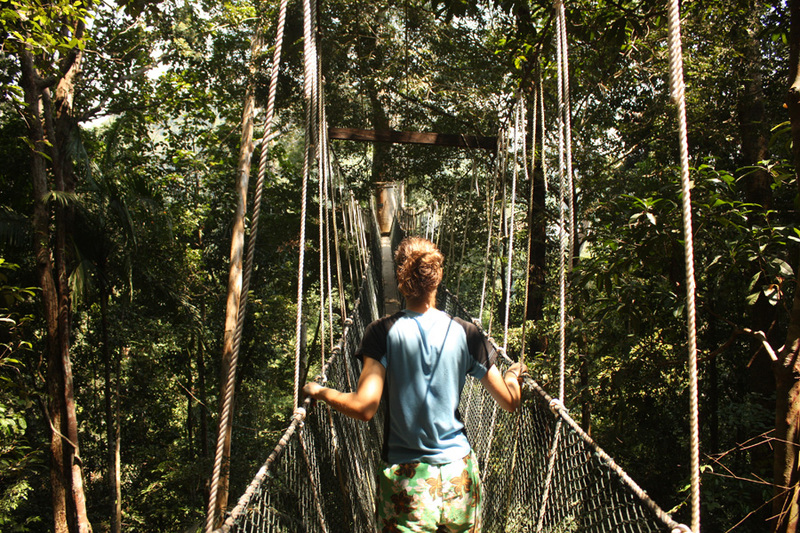 We tried also so-called Canopy Walkaways, which are (for me very dangerous, I have fear of heights), hanging bridges between trees in the canopy, linked up with platforms inside. There was sometimes 50 metres below me and I didn´t feel safe at all. Peter was fortunately completely fine and he took hundreds of pictures. 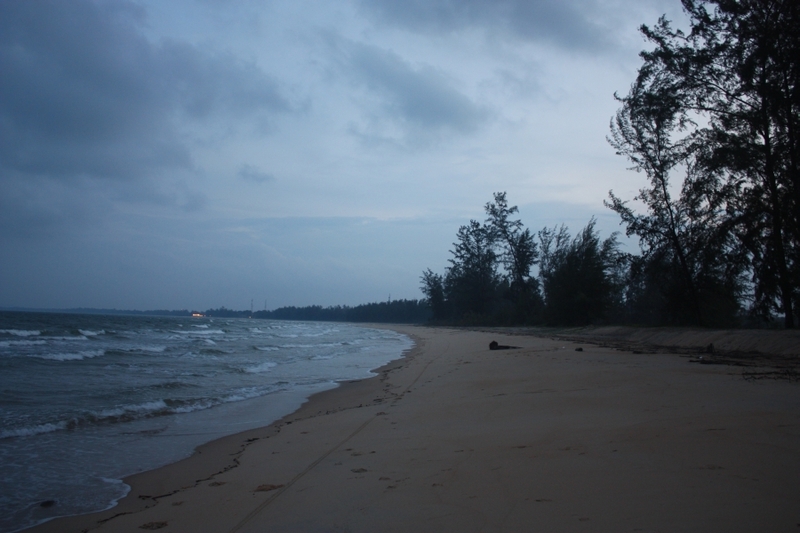 Cherating- sea resort without tourists. We ended up here completely randomly. 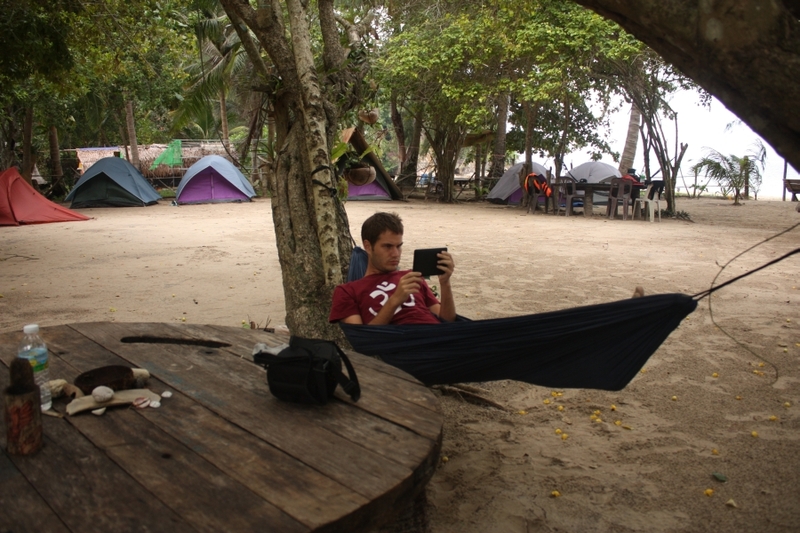 Mark, our couchsurfer host from Kuantan recommended us to visit. According to several book guides, it supposed to be a famous resort and all buildings, bungalows and restaurants were really there. The only thing which was missing were people. Actually we didn´t mind at all. We enjoyed the beach fully and truly as the only Westerners there. Local women were headscarved and men were swimming in a full clothes but we all had fun. We god a really luxurious room for only a little money. 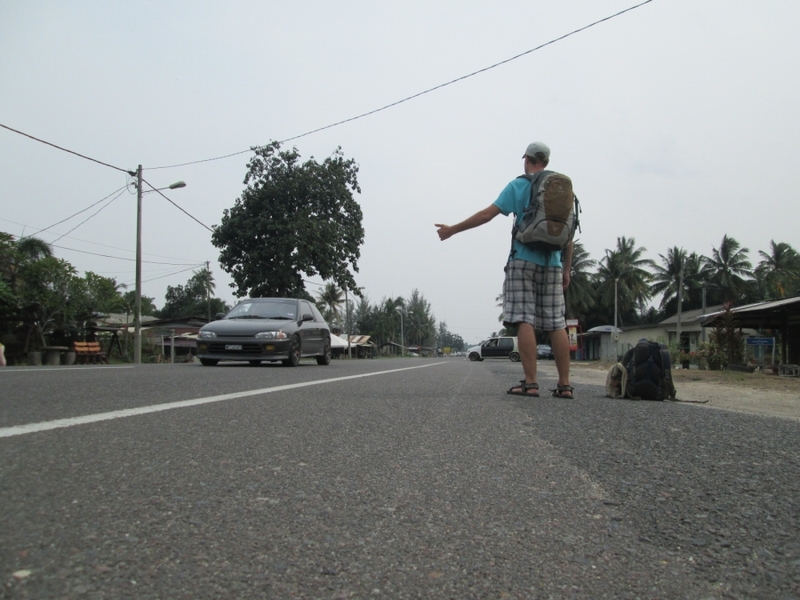 We tried hitchhiking when going north from Cherating. Our first driver was a Malay guy with a Chinese name. He never ever took any hitchhiker before, he didn´t understand the concept of hitchhiking but we managed to have a really nice conversation. After that, one Western-looking driver stopped. It was a middle-aged English teacher originally from Scotland who is in Malaysia under British Council project for teaching local English teachers. We had a fruitful conversation about various topic including world citizens. He was born in Afrika, lived in several places and raising his kids in Lithuania with his Lithuanian wife, currently working in Malaysia. I could not resist the question about the Scottish referendum (it was about one week before the vote at that time). Our driver wished to keep Scotland in the union. But the reason was surprising: if they voted for independence, he would be pissed off because he wouldn´t be able to take advantage of benefits coming from independence as he doesn´t live in Scotland anymore. 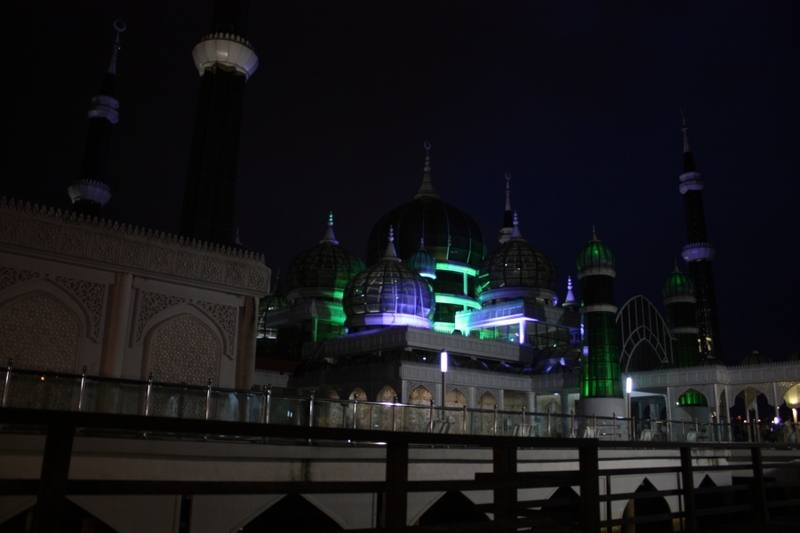 We arrived with him to the city of Kuala Terengganu, it´s the capital of a very Muslim state in Malaysia (Terengganu state). Here we met with his fellow coworkers, other English teachers from the US and Great Britain, who were also active CouchSurfers. Our CS host Ali came there and picked us up. Ali is an Iraqi guy who lives long-term in Malaysia and teaches civil engineering at the university. He was a typical very hospitable Arabic guy who gave us his library card in order to get to the library for internet. 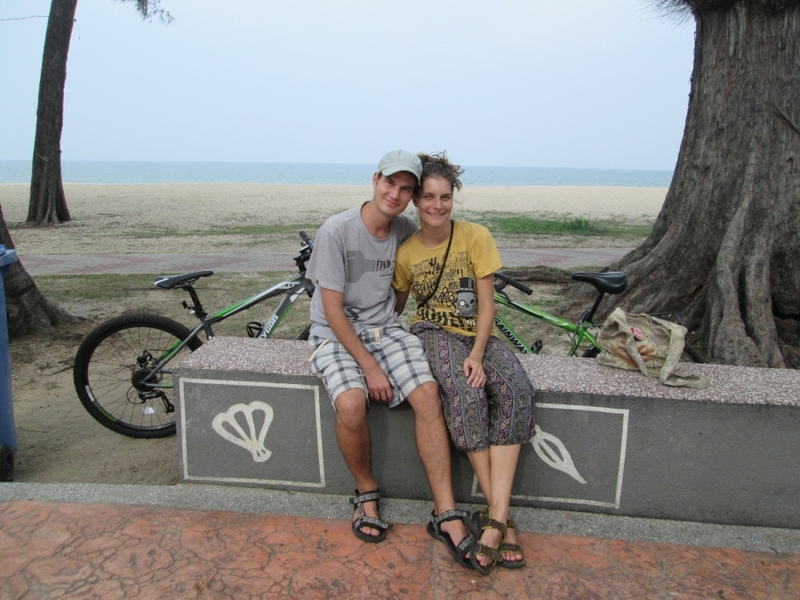 We also borrowed his two bicycles and we explored seashore from the saddle. 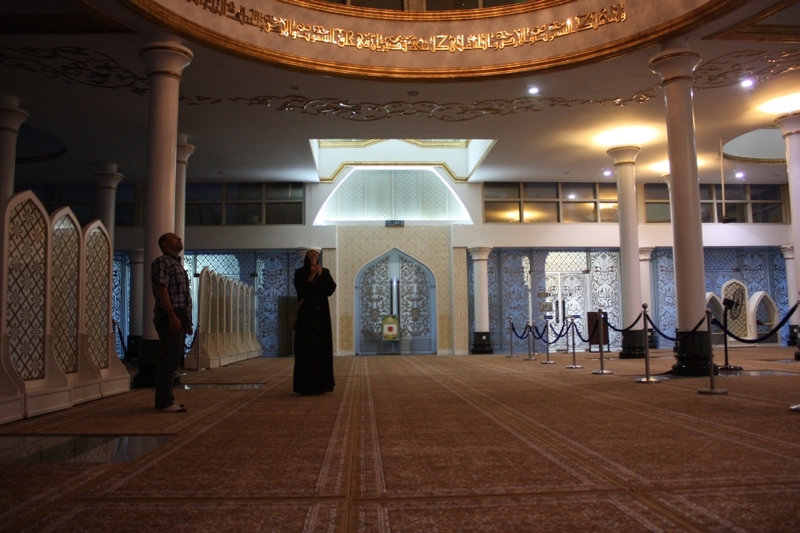 We visited two beautiful mosques. Crystal mosque is made of crystal and is situated in a park with miniatures of main islamic world temples. So I got the chance to see again Dome of the rock from Jerusalem for instance. Second mosque which we visited was a Floating mosque which looks like floating on the water when it´s a high tide. 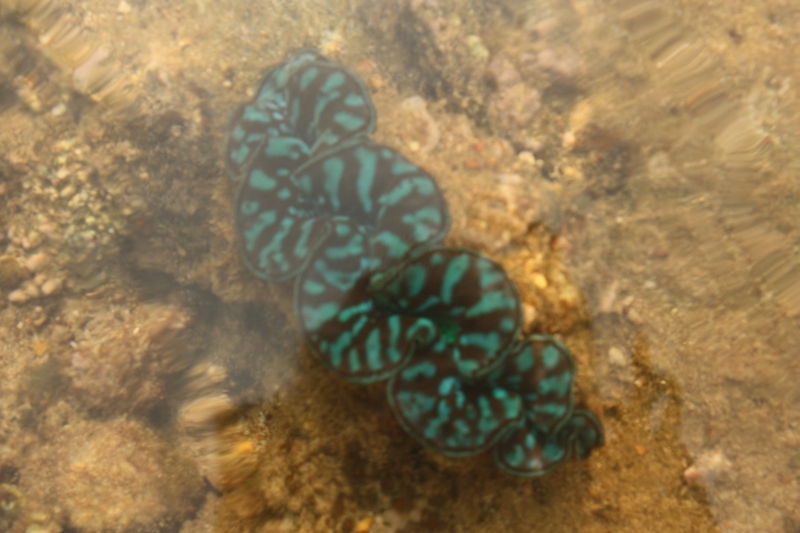 However we were not that lucky to see it at high tide. Paradise Island Kapas- this was most probably the highlight of our trip. Initially we wanted to skip all touristy places like paradise islands because we thought that those places are definitely not backpacking friendly and we don´t need to see that and bla bla. But during our whole trip, we kept listening from different people that it´s not that expensive as we imagined. We discussed together for a while and finally ended up on a paradise island. The accomodation costs 4 EUR per person/night in a camping tent. Return ticket for a jetty was 8 EUR. 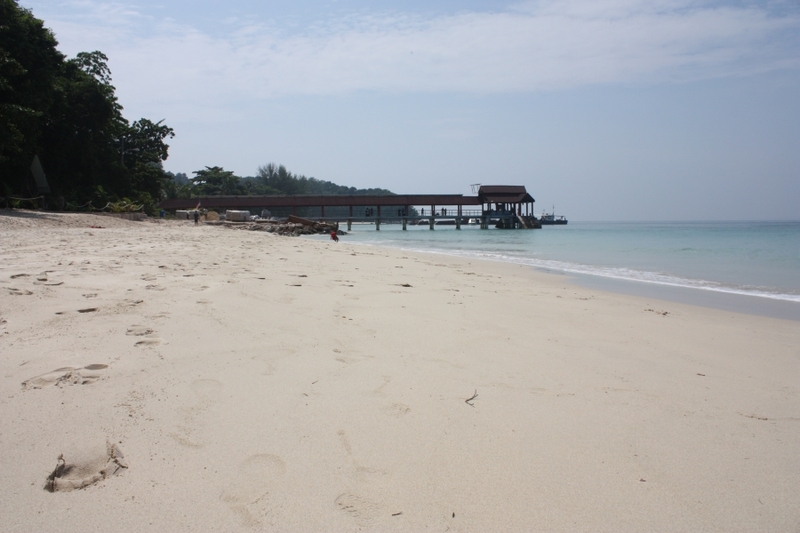 When we compared prices with other paradise Malaysian islands, this was a really paradise for backpackers 🙂 Most probably it´s caused by island´s small area, you can traverse the whole sandy beach shore in not more than half an hour. The distance from the mainland is only 6 km and it takes about 20 minutes by boat. During those 4 days, we spent in a paradise, we swam, did snorkeling, did jungle trekking and played volleyball and saw a looong iguana (1,5 meters long), residing in a nearby restaurant. 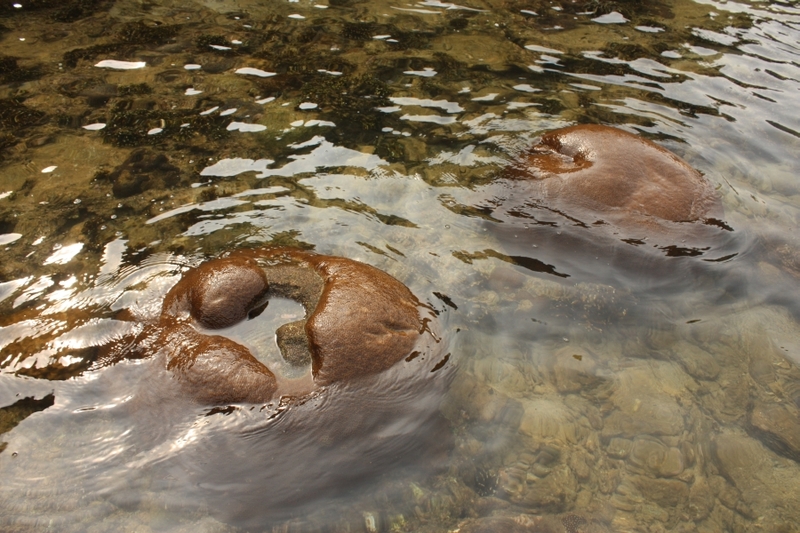 Crabs were regular inhabitants there as well. Crossing Peninsular Malaysia from East Coast to the West Coast (from Terengganu to Penang). This passage is worth the whole paragraph. We hitchhiked all the way but it was not as planned. We knew already from our previous experiences that hitchhiking in this country doesn´t really work as we know it from the West. In fact, it was pretty good, the only inconvenience was a very strong sun. We got the chance to have a covered Muslim girl as a driver. She was an university student speaking decent English and she was completely aware about hitchhiking. It´s not common in Europe to get ride from a solo female driver so we were really nice surprised that something like this happened in Muslim world. However, she said if Peter would hitchhike alone, most probably she wouldn´t take him. Next driver was a local Chinese guy Lewis who just took us without knowing our traveling itinerary. He didn´t have any further driving plans for the afternoon (we found out about that only at the final destination 🙂 so he simply drove us all the way to the north until Jertih. In a halfway of our journey, he changed direction and we made a little excursion towards the biggest man-made lake in Malaysia. At the beggining of our trip, we were considering visiting that place but then completely forget about it and made different plans. It was a digression of 60 km from our main road but we fully and truly enjoyed the lake and surroundings! Thanks! not planned but very nice excursion to the largest man-made lake Keniyr in Malaysia. Our driver Lewis and me. In Jertihour final destination for that day, we had a delicious dinner with Lewis and his local friends. Then we stayed in a quite expensive hotel (60 RM or 15 EURO per room, the most expensive room for the whole trip). The next morning, we checked beautiful mosque and after that started hitchhiking. One of topic information: this part of Malaysia has holiday on Fridays and Saturdays in accordance with Muslim holidays. We actually didn´t see much minorities here and I paid attention to my clothing and didn´t have shorts or tops. First car which stopped was very nice Malay couple. Covered woman was driving while her husband told us about his DJ career in Kuala Lumpur. Later on he decided to settle down far away from the crazy and busy city. 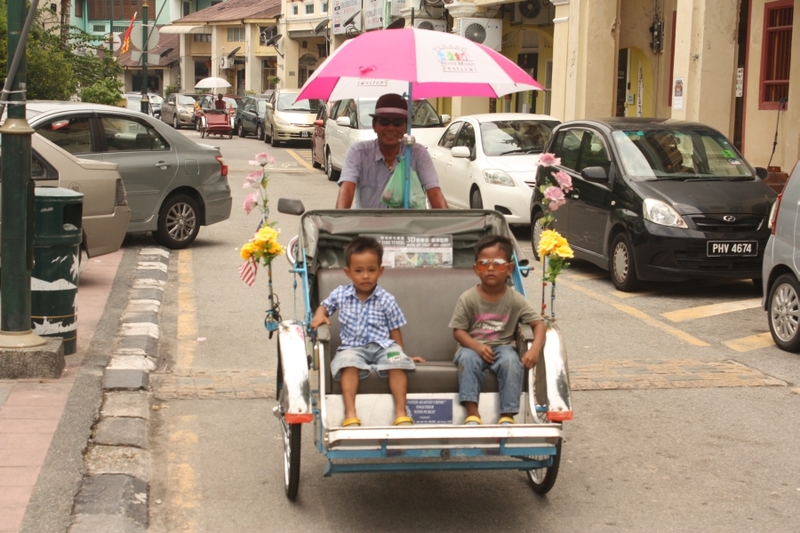 So they got married and are now living in other part of Malaysia. They have three kids and run bunch of different businesses among them old car repairing. On the way we stopped in one village and they showed us their old van currently under reconstruction which will be used for their Asian travels in a few years. They take hitchhikers regularly. 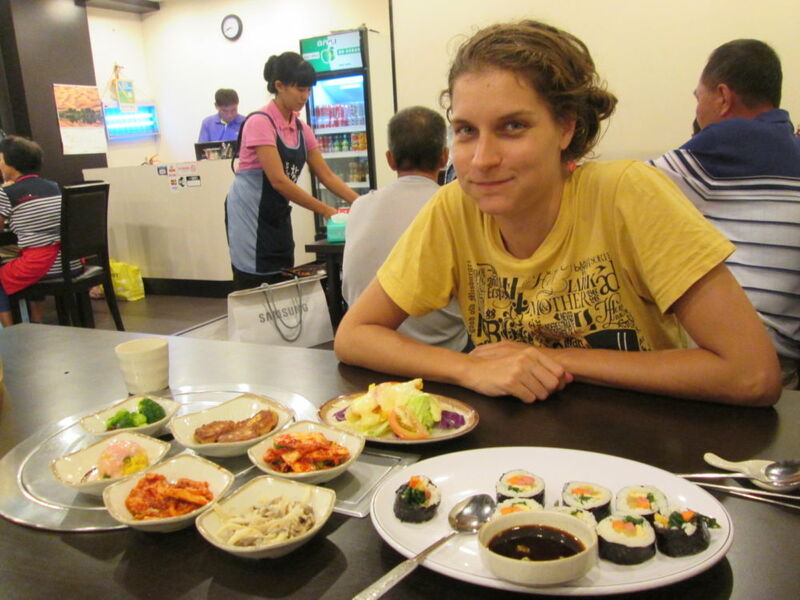 Last month, she took young Russian couple traveling with a small baby in Asia. We were very surprised hearing this but realized that nothing is impossible. They drove us 20 km more than expected because they simply wanted to help us. Thanks Norros and Aaron! Everyone emphasized that it wouldn´t be easy to cross the country using hitchhiking and that no one really speaks English and we should be careful and all those things. It was actually very hard, because it was super hot around the noon! Cars were regularly stopping and asking what are we doing, what does it mean the signboard with the name of the city situated more than 5 hours from there. Many cars stopped and wanted to take us to the bus station or they just simply stopped and wanted to talk with two strangers. Finally, the guy with Arabic name Topic picked us up all the way to our desired Penang. He didn´t speak much English and it was super noisy and airy in the car because air condition was off, so all our windows were open and it was actually the true crazy ride and wind in the hair! (it was for the first time to travel in a non air-conditionned vehicle in Malaysia! (real experience!). Topic was also a kind of race driver. Cars were his true passion, he works as a mechanic, studied it at school and has a modified vehicle. We were driving at least 3 hours in a pure jungle mountains and on the pass, he stopped for a prayer and we took a lunch and enjoyed the beautiful area. 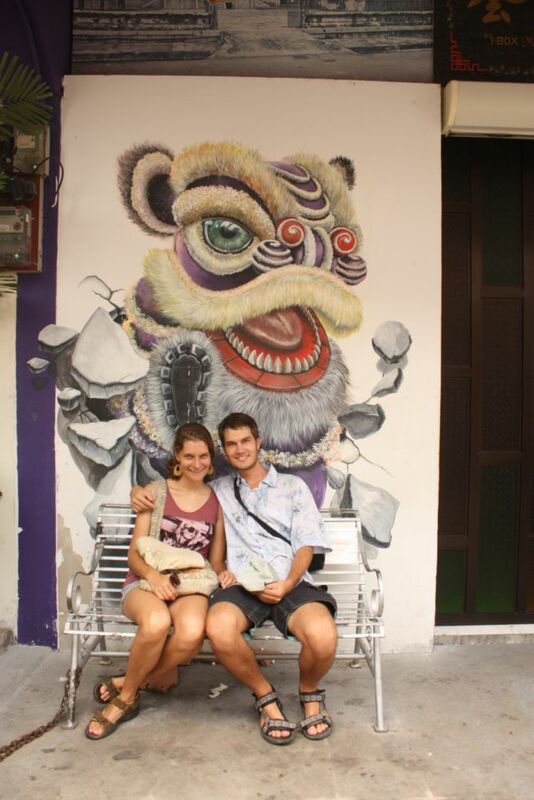 Penang and the capital of the state George Town is second biggest and second most visited place in Malaysia. Inhabited mostly by Chinese, it´s very famous for its food and art. 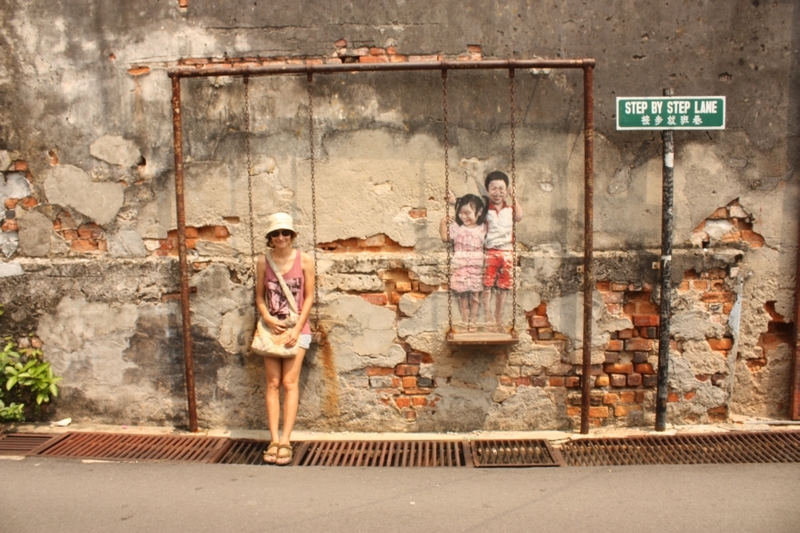 In 2008, Lithuanian street artist Ernest Zacharevic (maybe new Banksy) changed old city walls into open art exhibition. The whole city is under Unesco protection. The city is situated on the island and there are two beautiful modern bridges connecting the island with mainland. The longer and the newer one is the longest bridge in Sout East Asia with the length of 25 metres (15 metres over the sea). 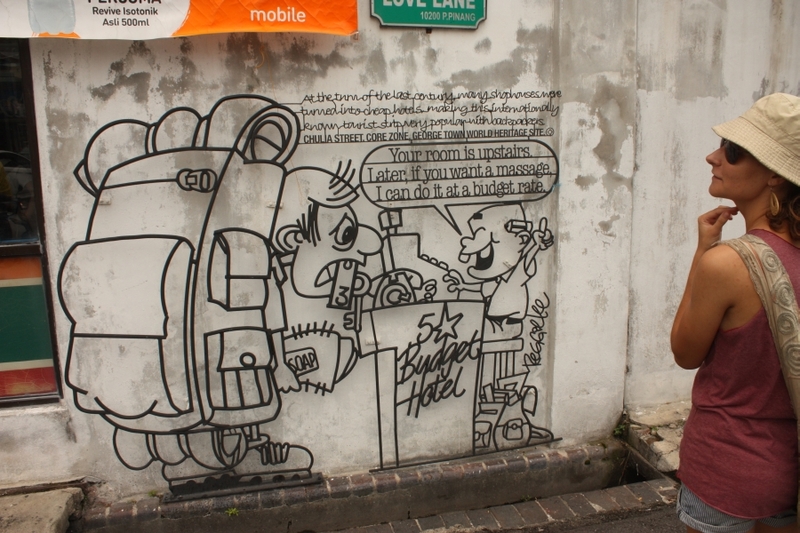 After 17-days of tripping, we arrived safely back to Kuala Lumpur. Our baggage was happily stored by Rhayne, nice CouchSurfer who cooked for us delicious Chinese dinner and the other day took us to a famous Bak Kuh Teh place. Many many thanks for your attention!